Make 7500 Skymiles by shopping online! Delta Skymiles Shopping has two different specials running that you can combine to make over 7000 Skymiles! If you have never earned miles shopping online before then read our article on How to Make Mega Miles with Shopping Portals to see how. The first offer is a bonus offer for spending certain amounts at any of the thousands of merchants for purchases through November 26, 2014. Author John ButlerPosted on November 6, 2014 November 6, 2014 Categories Delta Skymiles, No Credit? No Problem!, Online ShoppingLeave a comment on Make 7500 Skymiles by shopping online! One thing about the frequent flyer game is it is constantly changing. 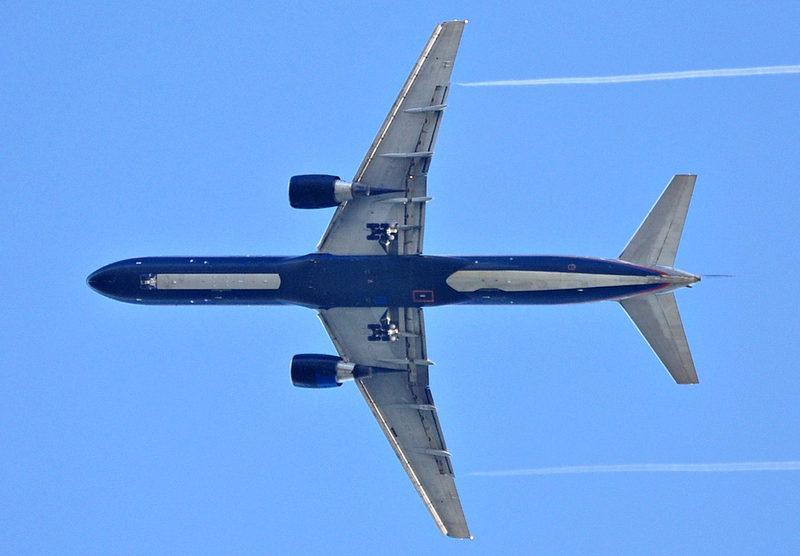 Delta yesterday announced changes to the way you earn miles when you fly effective January 1, 2015. While these changes have been anticipated for a while, they are generally quite negative for regular leisure consumers compared to the system currently in place. If you have read our Frequent Flyer Miles for Beginners article, you know that you are typically given one mile per mile flown in the air. 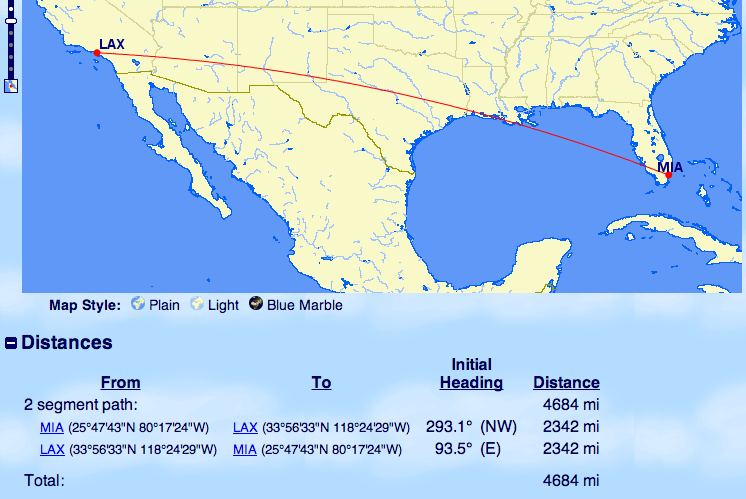 So if you fly from Miami to New York one way you will get approximately 1000 miles. This number is then applied multipliers if you have certain status levels with the airline or if they are having a promotion. This means that if you paid $100 or $1000 for that ticket you will still only get 1000 miles. 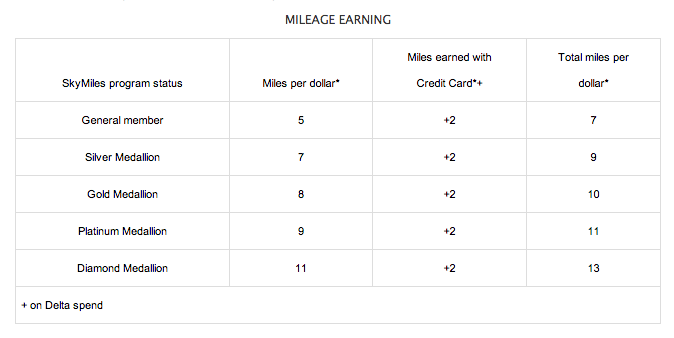 Delta is changing their earning criteria to a revenue based system where you get a fixed number of miles that varies depending on your status with the airline and a bonus if you use their cobranded credit card. Here is the chart they released with the changes summarized. I’m going to use an extreme, but very common, example to show how much worse this system is than the current for most of us. If I want to visit my friend Erik in Los Angeles from Miami, I can usually find a plane ticket for $250-300. This trip if I have a non stop is 4684 miles. It would be even more miles if I had a connection on the way there or back. Under the old system with no special status with Delta or credit card I would earn 4684 miles that I could then redeem for free flights at a future date. Under the new system I would get $250 X 5 = 1250 Miles. That is less than 1/4 as many miles! This system is revenue based so obviously rewards people who spend a lot of money on their flights. So business travelers whose company is footing the bill or people who pay a lot for last minute tickets will fare better. But even if you pay $650 for the same MIA-LAX ticket like some business minute or last minute travel might require, you still only earn 3250 miles now, much worse than before. Let’s look at the case for their top tier Diamond Medallion Members that also have their credit card and earn 13 Miles per Dollar spent which should be their most desired customers. If you bought the cheap $250 ticket, you would $250 X 13 = 3250 and if you bought the expensive $650 ticket because your company was paying for it 8450. But under the current system Diamond members get a 125% mileage bonus so you would earn 10539 Miles for either flight! This is negative for almost all Delta customers who earn miles by flying as I have shown. They have promised a new award chart (which will probably go up in price again) and the availability of one way award redemptions (probably the only positive thing mentioned). For people like me who earn miles via online shopping or credit card signups though this really doesn’t effect anything. My recommendation if you pay for airline tickets would be to run the numbers for your ticket and compare how many miles you would get each, but most likely book with a different carrier than Delta. American and United will both give you significantly more miles than Delta unless you are paying a really high price for your tickets (and maybe even in that case). I’ve been wanting to do an article on this for the last few weeks to 1) share the information for you, my readers and 2) to help myself see how I should proceed with my miles. I currently have 111,000 Delta miles and over half a million Ultimate Rewards points (which I have typically used to redeem for United award tickets) so this article definitely affects me. Back in November, United and Delta both announced some changes to their award charts, and not in a positive way. Since I am based in North America, I will be focusing on how the changes affect the North American routes around the world. All of these prices below are one way milage rates so for round trip you would double the one way rate. In November, United announced some pretty drastic changes to their award charts, and split awards on all United flights (called United Metal) away from Star Alliance Partner flights. Check out our ABC’s of Airline Alliances article if this is confusing. I typically use United miles not on United flights, but instead for Star Alliance Member airlines such as Lufthansa or Brussels Airlines such as when I recently went to Ireland, Scotland and London for only $137. What this means is that if I want to do a similar trip after February 1, it will cost me many more miles. Here is a chart summarizing the changes. I’m just listing the Saver awards for simplicity’s sake since that is when you should be booking to get the maximum value for your award seats. I have bolded those awards that are increasing 30% or more. If you were saving up your miles for a Star Alliance partner flight to any of the further destinations, now is the time to book before the prices go up in some cases 86%! Delta has two different devaluations, one starting on February 1, 2014 and then another on June 1, 2014. Delta’s changes not as drastic as United’s but are still something that should be considered if you have been saving miles for a future trip. How to use shopping portals to make mega miles! I love shopping portals. I have literally made hundreds of thousands of points all at one time by taking advantage of shopping portals. See how I made 264,000 Ultimate Rewards Points + $1000 shopping at Sears or how I made 189,000 Rapid Rewards Points + a companion pass shopping online. But what exactly are shopping portals and how do they work? A shopping portal is just like the name describes it is a portal (like a doorway) that takes you shopping online. Think of it like a mall. It is full of many shops that are all owned by different companies. What if I told you if you went through one entrance of the mall that you could get 5 miles for every dollar you spent? And if you went through another entrance you could get 10 miles for every dollar? And if you went through yet another entrance you would get no miles at all! That is how they work! But it’s easiest to explain with an example. Let’s say you have gone through our Getting Started Page and have already signed up for a free United MileagePlus number. If you haven’t, go do it now! 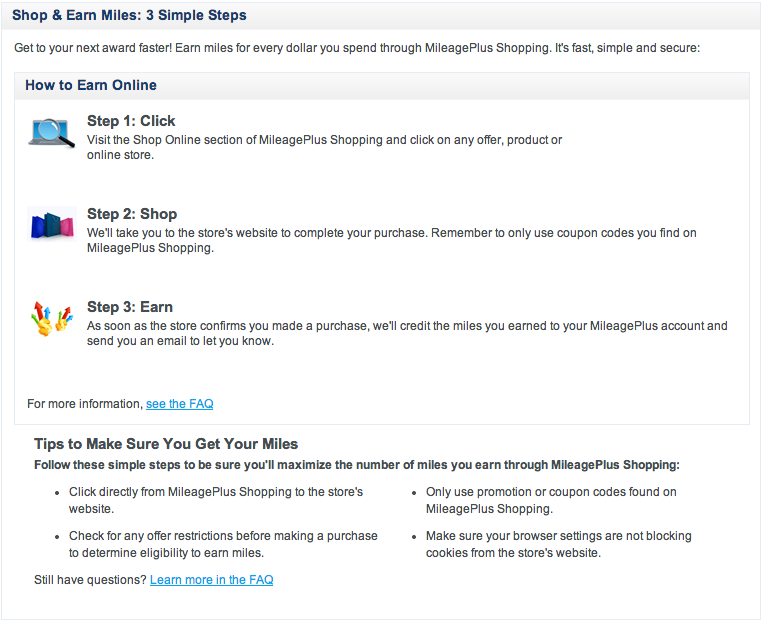 We are going to use the MileagePlus Shopping Portal in our example. This portal gives you United Airlines Miles for shopping in their mall. Some malls you need to create a separate login, but this one you can just log in with your United MileagePlus number and PIN or password you use to access your MileagePlus account online. After logging in, search for the store you want to go shopping in. FYI here is their version of how the online shopping portal works. In our example we are going to use Walmart. Online is about the only way I will ever go to Walmart. I search for Walmart in the search box and it brings up a screen that shows details about that merchant. You can see that they are offering 1 Mile for every dollar that you spend. This means if you buy a $500 LCD TV from Walmart on Black Friday, you can get an extra 500 United Miles just by starting your shopping session through this portal! They also list some sale and coupon codes that you can sometimes use. Since you are already logged in just click on the Shop Now button and you will be transported to the exact same Walmart.com as if you went their directly. Same products, same prices. 1 Mile per dollar is pretty much the bare minimum you will find and many of them offer much higher rates. I have even seen up to 60 Miles per dollar on occasion which is incredible! The miles will typically show in your account after a week or so, but sometimes it might take up to a month to see them reflected. You can see your earning history by clicking on the My Account link at the top right of the screen. What shopping portals are there? Almost every major US airline, most hotel chains and even some random point programs have shopping portals. Here are a few of them. How do I know which shopping portal to use? Luckily there are web sites whose whole purpose is to help you decide which portal to use. Of course if you are specifically after United Miles then that might be the best one to use. But you should at least compare a few of the portals to make sure a much better deal isn’t available. The shopping portal comparison site I like to use is EVReward.com. If I go to that site and type in Walmart for instance, here is what I see. As you can see, UPromise and ShopDiscover are offering 5% cash back. I would rather have that than 1 mile per dollar all day long! I hope this has showed you how easy it is to make extra miles and cash by shopping online. You really shouldn’t shop online without utilizing a shopping portal. If you don’t, you are simply leaving free miles on the ground that you should be picking up. If you have any questions then leave them in the comments and I will answer them. Author John ButlerPosted on November 26, 2013 November 27, 2014 Categories American Airlines AAdvantage, Chase Ultimate Rewards, Delta Skymiles, No Credit? 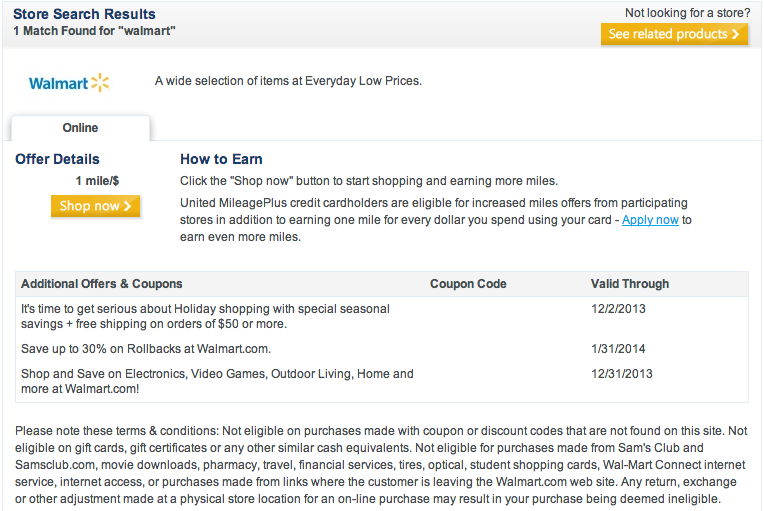 No Problem!, Online Shopping, Southwest Rapid Rewards, United MileagePlus, US Airways7 Comments on How to use shopping portals to make mega miles! 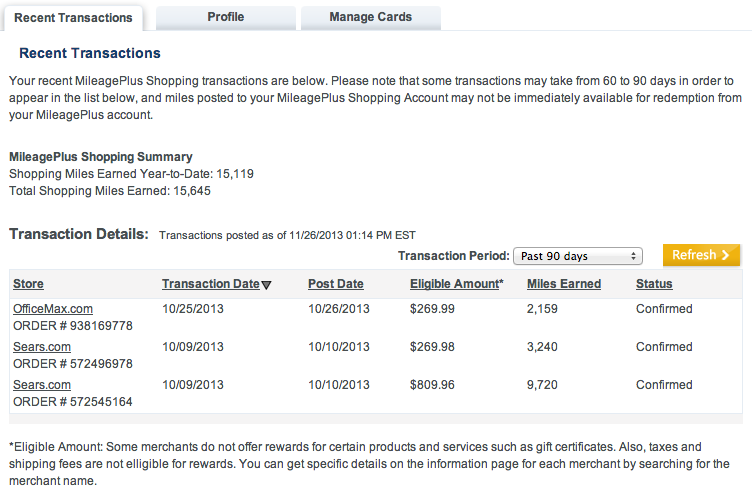 1800 Delta Skymiles with a total of $100 in online purchases. No Credit needed! Click through the Delta Skymiles Shopping page to Sears and buy one physical $50 Sears gift card using my Chase Ink Bold that I have registered with Plink (with K-Mart chosen as one of my wallet entries since Sears issues their gift cards from K-Mart). This will give me 50 UR points for the purchase plus 150 Skymiles for the 3 miles per dollar plus 500 Skymiles for the first bonus plus $3 in Plink points. One day later I will buy two physical $25 Sears gift cards in separate transactions, again with my Ink Bold. For each purchase this will give me 25 UR Miles,75 Skymiles, and $1.25 in Plink points. I will also get the 1000 bonus Delta Skymiles. Keep in mind that you can do this even if you only have a debit card and still get the 1800 Delta Skymiles and the Plink points. 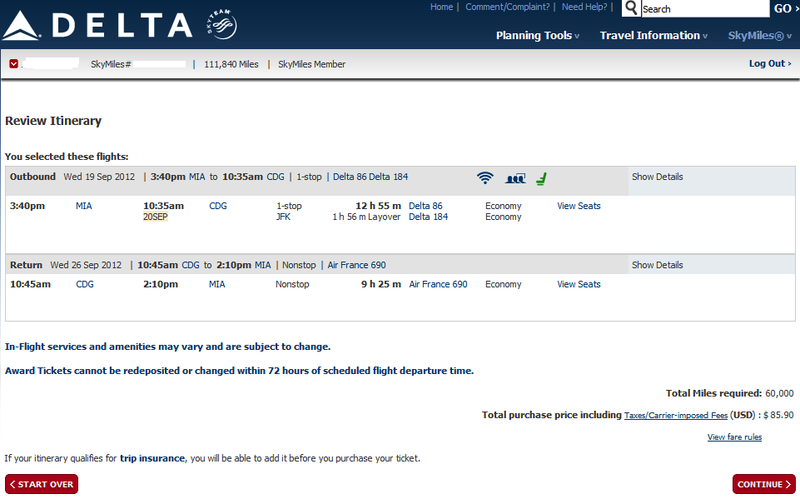 This means I will receive a total of 1800 Delta Skymiles, 100 UR Points and $5.50 in Plink points for $100 in purchases. I will receive even more miles and points when I use the gift cards at Sears. What a deal! I love this game! Feel free to comment on this post if you have any questions and don’t forget to Like us on Facebook and Follow us on Twitter! Author John ButlerPosted on October 20, 2013 December 10, 2013 Categories Chase Ink Bold, Chase Ultimate Rewards, Delta Skymiles, No Credit? No Problem!, Online Shopping, PlinkLeave a comment on 1800 Delta Skymiles with a total of $100 in online purchases. No Credit needed! Starwood Preferred Guest recently announced a new program called Crossover Rewards that rewards people that stay at Starwood properties and fly Delta with elite status that “crosses over” between the two programs. Since I am a newly qualified Platinum Starwood member, I was anxious to see how it worked. Upgrade to an enhanced room at check in when available. This is on top of whatever Starpoints or Skymiles you would have normally received! Any time they add new benefits for free I am a fan and in this case, it might make me book a flight or two with Delta since it will give me extra Starpoints. To sign up, just click on this link, log into your SPG account then enter your Delta Skymiles number and then you are all set to get extra miles and points! 50,000 Thank You Points, 30,000 Delta Skymiles, 5000 SPG Points. Not a bad start of the month. I wanted follow up on a few of the offers I started a while back since the points have now posted and give you my feedback on the experience. This will also show you how easy it can be to get the points and miles rolling in. The Thank You Points (the points program used by Citibank bank accounts and some of their credit cards) were from an offer I read about on Flyertalk back in December where they were giving you 50,000 points for opening a Citigold checking account and performing a direct deposit and a bill pay each month. 50,000 points have a cash in value of $500 so this certainly got my attention. If you are a Citibank ThankYou Premier cardholder you can sweeten the deal and get $666 in value towards travel related expenses for those points. Meeting the requirements was easy by setting a $1 monthly payment to my electric company and doing a $1 transfer from my paypal account to my new citigold account. The account does have a $30 fee if you don’t have a $50K balance but the fee is waived for the first 3 months. The way the T&C are worded you had to meet the DD and Payment requirements for 2 months then the bonus would be awarded 90 days after that. Most people (me included) had to send them a message to manually have the bonus be awarded and I waited a little longer than I should have so I ended up paying four $30 monthly fees, but I will trade $500 for $120 all day long. There isn’t currently an offer like this available, but it comes and goes so I wanted to get this information out for when it comes back. The Suntrust Delta checking deal I previously wrote about was really some easy miles and they have already posted. I opened a checking account, did a $101 transfer from paypal to my Suntrust account, and made a $9 Checkcard purchase. Bing, Bam, Boom, 30,000 miles. I did have to pay a $75 check card fee and will have to keep $1500 in the account for 6 months to avoid the early account closure fee, but this one worked out to be even easier than expected. The current offer is only 5K miles, but it might be good for someone who wants to get miles but doesn’t have good credit. The final 5000 SPG points was from my 30,000 SPG Business Amex card that I got back in November. For some reason, only 25,000 of my SPG points had posted and I had to contact them for the final 5K. You need to make sure to always check and make sure you get all the miles that are due to you from the offers you apply for. It is easy to get carried away with earning miles and not double check things. 🙂 This 30,000 SPG point offer is available until September 6 for both the SPG Amex and the SPG Business Amex so apply for one or both before then to get one of the best hotel earning cards. You can view my post on this card here. So I hope this post helps you see some of the potential of the things I talk about and shows you that it is worth your time! Enjoy! Author John ButlerPosted on August 15, 2012 August 15, 2012 Categories Delta Skymiles, SPG Amex, SPG Business Amex, Thank You PointsLeave a comment on 50,000 Thank You Points, 30,000 Delta Skymiles, 5000 SPG Points. Not a bad start of the month. Update: This offer was good for that day only but I will make another post if it comes back. 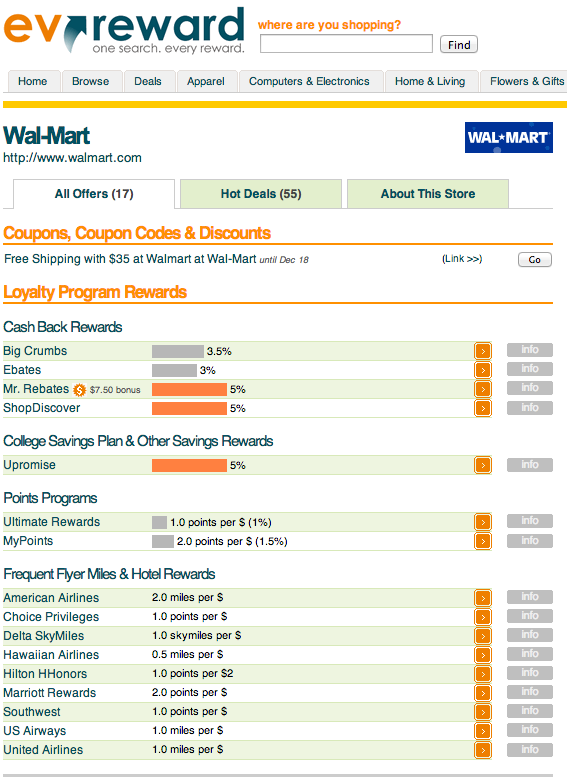 3x Points on Airfare, 2x points on advertising, gas at standalone US gas stations, and shipping, 1x on everything else. Since I covered a lot of the benefits in the last post, today I am going to show you some examples what you could use these 85,000 membership rewards points for with flights that are available right this second. Note I am using 85K instead of 75K because you will end up with at least 85K once you get the bonus because you also get 1 point per dollar you spend on the $10,000 spending requirements. 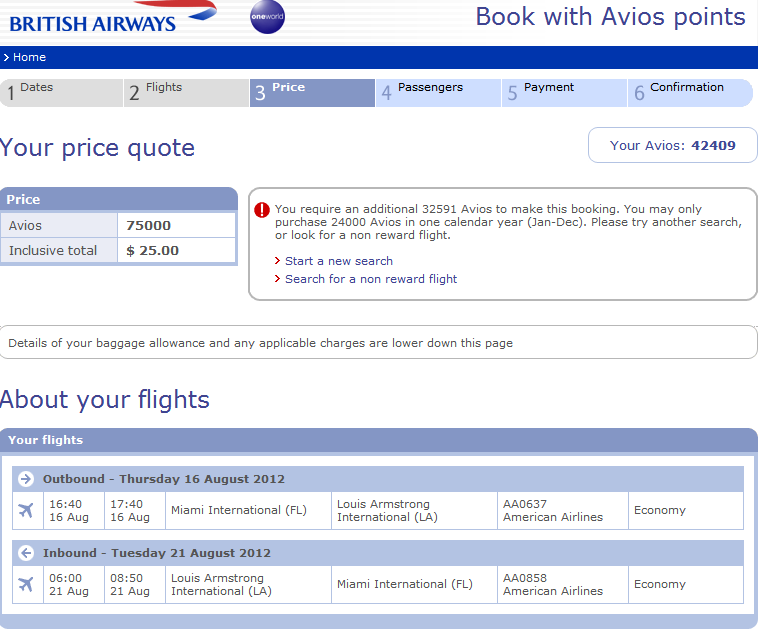 By transferring them to British Airways Avios, you and 3 friends could go from Miami to Bogota for a week in September. 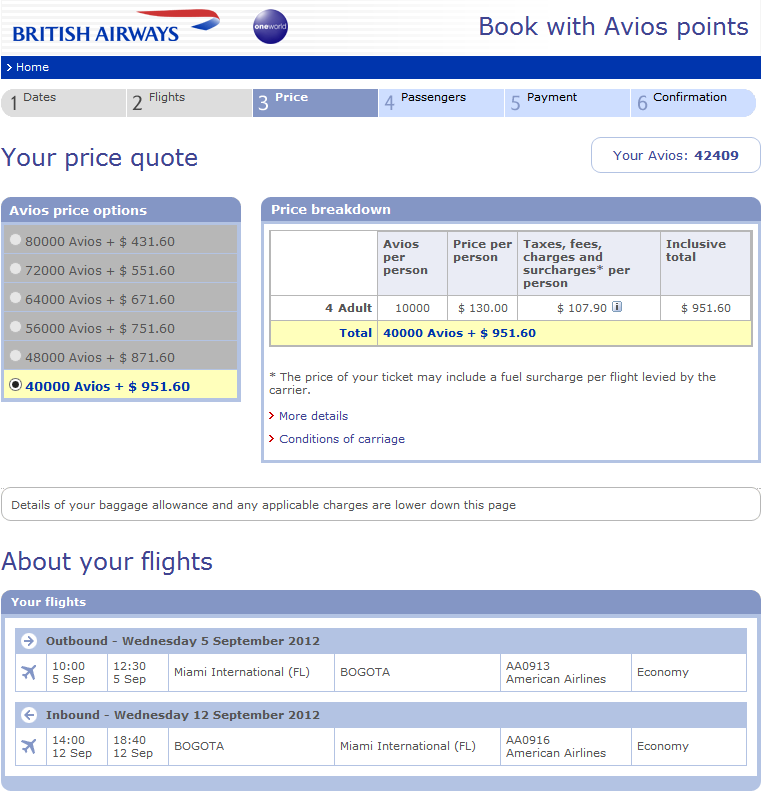 80,000 Avios and $431 in taxes (total for all 4!) Or you could book individual trips and take 4 separate trips home to see family or just vacation! Or how about a trip for you and 4 friends to New Orleans next weekend for some crawfish, osyters, and Bourbon Street Madness for only 75K Avios and $25 total!? Or maybe Europe is more your thing. So transfer 60,000 membership rewards points to Delta and book your trip to Paris in September for 60,000 miles + $85 in fees! This is just for you and not your entourage, but if you and your significant other both got this card and bonus then a romantic week in Paris for peanuts could be within your grasp! These are just a few examples of the great things you can do with the 75,000 point bonus currently offered for today only! So what are you waiting for? Let’s Travel! This limited time offer has expired, but check out our Top Credit Cards page for any current offers. 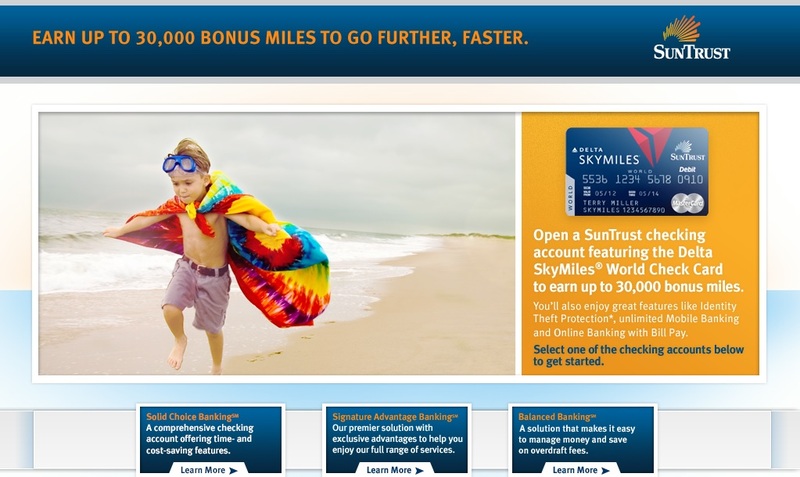 30,000 Delta SkyMiles for a new Suntrust Checking account until June 30th. This offer has been around for a little bit, but I just ended up applying yesterday. Even though Delta Skymiles are a bit harder to redeem than some of the other airlines, this is still a great offer that I am taking advantage of. For those of you still working on repairing your credit, this is a nice alternative to still earn miles until you can qualify for some of the more juicy credit card offers. The details are you get 15,000 miles for opening one of the three accounts listed and establishing direct deposit of $100 or more. Then another 15,000 for your first use of the Skymiles Visa Debit card when you use it as a Visa (not as an ATM or Debit card). You have to pay the $75 for an annual fee for the Visa Checkcard that comes out after your first statement, and open the account with $100. The Balanced Banking account is fee free for the first two months, then will start charging a $12 monthly fee if you don’t maintain a $3,000 minimum balance. There is additionally a $25 fee to close the account before six months. The best way to attack it if you want to earn and burn is to park $3000 there for six months to avoid the closure fee and the monthly fees. Another way is to open the account, try your best to get the minimum requirements met before the fees start after two months, close it and pay the $25 closure fee. This would give you a cost of $100 for 30,000 miles or .33 cents a mile which is great since you usually get at least 2 cents per mile on redemption. And of course you can always keep the account open and use it as your primary checking account, earning miles for every time you swipe the check card as a Visa. If you want to take advantage of this nice offer like I did, then click here now to sign up. But hurry, You have to sign up for this offer by June 30th, but you have until July 31st to make your first purchase and by September 30 to take care of the direct deposit. Author John ButlerPosted on June 28, 2012 September 18, 2012 Categories Delta Skymiles, No Credit? No Problem!2 Comments on 30,000 Delta SkyMiles for a new Suntrust Checking account until June 30th. 100,000 Delta Skymiles Skymall promo results. Back in December, Skymall had a promotion with Delta where they were giving 25,000 skymiles out with each order over $500 for the first 1,000 orders. I like many others took advantage of this offer and since now all of my miles have posted I wanted to post my results so you can decide if it is worth it to do these sorts of offers in the future. I will admit, I didn’t make the most of this offer but I am happy with my results. I placed 4 separate orders for Galaxy tablets that ended up after tax and shipping with a cost of $666 each. Additionally I was able to price match to Best Buy and received a credit of $50 per order. This gave me a total cost of $2464 which I put on my Chase Sapphire Preferred which gave me 2464 Ultimate Reward points. I then was able to sell all four of the tablets on Craigslist for $480, $450, $450, and $400. The price varied so much because I was only able to sell the first one in the high demand before Christmas time and the remaining ones after. This means I received $1780 for a net loss of $684. So in essence I paid $684 for 100,000 skymiles or a little less than .7 cents per mile. One of my potential uses for these miles will be a business class award ticket back to one of my favorite places, Thailand. I compared the fare over the same dates that I could use these miles and ended with with a ticket that was over $7,000! While I would never pay that much for a ticket, it shows that I could end up with $7,000 in value for $684 out of pocket. Another way to look at it would be two coach seats from Miami to Thailand which are worth at least $1,200 each. That gives you $2,400 in value for $684 cost. Quite a deal! For a long haul flight like that though I would never fly coach unless I had no other options. So there you have it and I hope this helps you in the future deciding if a promo is right for you! I know I will be taking advantage of this promo next time it is offered and will tell all of you about it here on TravelWithMiles.com. Author John ButlerPosted on February 29, 2012 September 18, 2012 Categories Delta Skymiles, No Credit? No Problem!1 Comment on 100,000 Delta Skymiles Skymall promo results.